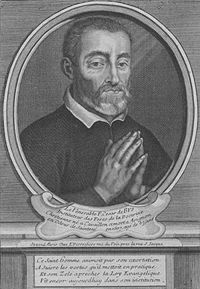 Blessed Cesar de Bus was born at Cavaillon, France. At 18, he joined the army and took part in the war against the Huguenots. He then joined the navy but, due to serious illness and unable to carry out his naval duties, he returned home.